Out of all the different cuisines to choose from, Japanese food has got to be the least affordable. Sure, there are definitely hole-in-the-wall Japanese places out there, but you'll probably be sacrificing quality for the price. And even when we do have the money to splurge on sushi—most likely right after payday—we can't do that all the time...at least, not as much as we can with burgers. The point is, Japanese food can be really expensive. And one New Yorker learned that the hard way. Chris Galletta, a contributor for VICE, wrote about how he and a friend (Matt) spent $1,100 or P54,880 on sushi—tip not included. Matt asked Chris if he'd ever seen Jiro Dreams of Sushi; Chris lied, and that was his first mistake. 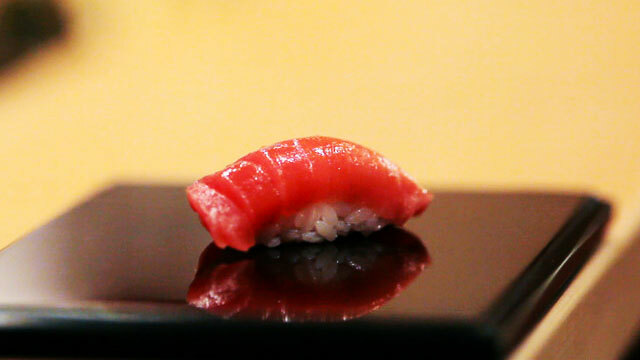 If you've never heard of Jiro Dreams of Sushi, it is a documentary about Jiro Ono, an 85-year-old sushi master. He owns a three-star Michelin restaurant, which only seats ten people, 'cause he's a culinary genius. Jiro's protégé opened his own sushi restaurant in Manhattan, and the guys decided to try it out. That night, Jiro’s protégé was actually in, and he served them personally. Chris wrote, "We started with tuna, then fatty tuna. Then upped the stakes to toro. After each roll, the wait staff would remove our plates and bring new ones, along with a fresh set of hot towels. Chopsticks were discouraged and so were any dipping sauces. (Even soy sauce!) It was like being on Mars. Or perhaps like being in Japan." When the boys got the bill, their initial reaction was that it had to be a mistake. But the staff told them "the bill was correct and what had really happened here was that the uni was 'fresh.'" Was that supposed to make anyone feel better?! Man, that uni must’ve been chillin' in the fountain of youth or sprinkled with edible gold for it to have done that much damage. The boys had to use a credit card to get 'em out of there, and probably promised to live on an instant ramen diet until they pay the entire bill off.